Who should take this fire fighting course? Consultant offices engineers , fire safety inspectors, insurance corporate inspectors and responsible for safety in industrial, commercial and engineering institutions. Identify the authority, responsibilities and the legal status of the Fire Inspector. Identify inspection methods and procedures and tools needed for the inspection process. Identify rules and standards for the inspection process. Identify the principles of the combustion process and its stages and the factors that influence the growth or the increase of the speed of the fire spread. Identify common sources of heat and dangerous operations causing fire. Identify the characteristics of electricity, electrical appliances and equipment risks in combustion and methods of securing. Identify the different types and use of buildings. Identify safety and protection standards for buildings according to regulations of the Civil Defense and the Saudi Building Code SBC 800 and the codes of National Fire Protection Association NFPA. Identify the physical and chemical properties of hazardous materials through the MSDS. Identify characteristics of the flammable and combustible liquids, their risks and procedures for the proper storage. Take safety procedures when storing radioactive materials. Increase the capacity of the inspector to deal with all hazardous materials during the inspection without risks. • The legal status of the fire inspector within the public and private sector. • Legal responsibility for fire inspectors. • Modern laws and standards for the inspection process. • Technical reports of the inspection. • Written and electronic records. • The principles of combustion and spread speed of fire. • Factors that affect the spread and the increasing growth of the fire. 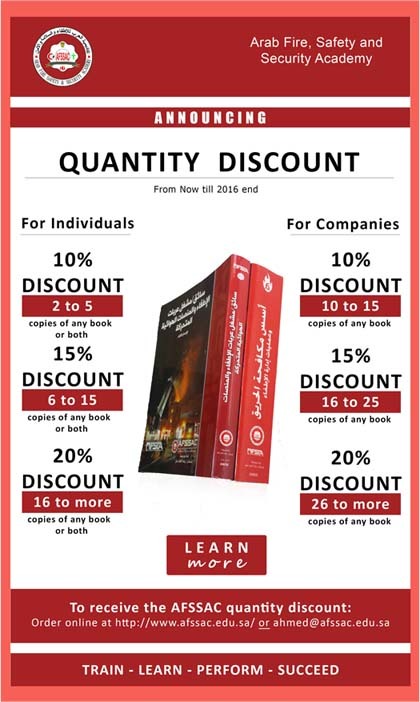 •National Fire Protection Assembly code NFPA 101 for life safety. •Risks associated with the use of these liquids. •Oxidizing substances and organic peroxides. 2. 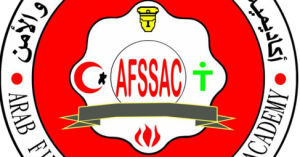 Basic Requirements for this fire fighting course : obtaining hazardous materials – awareness fire fighting course . 3. General Requirements for this fire fighting course : physically fit and healthy.